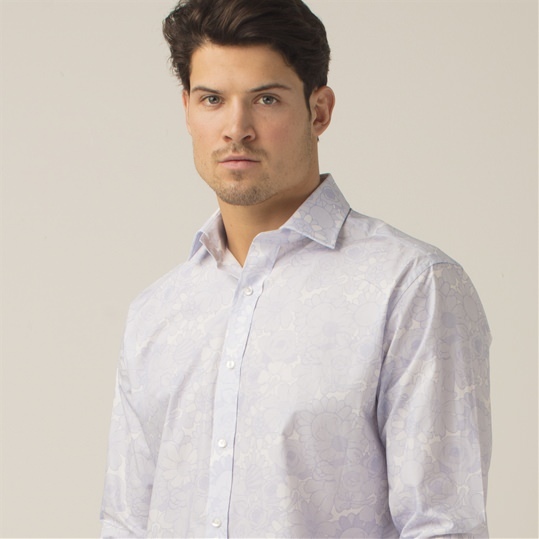 Mens patterned shirt from the latest Gresham Blake collection. 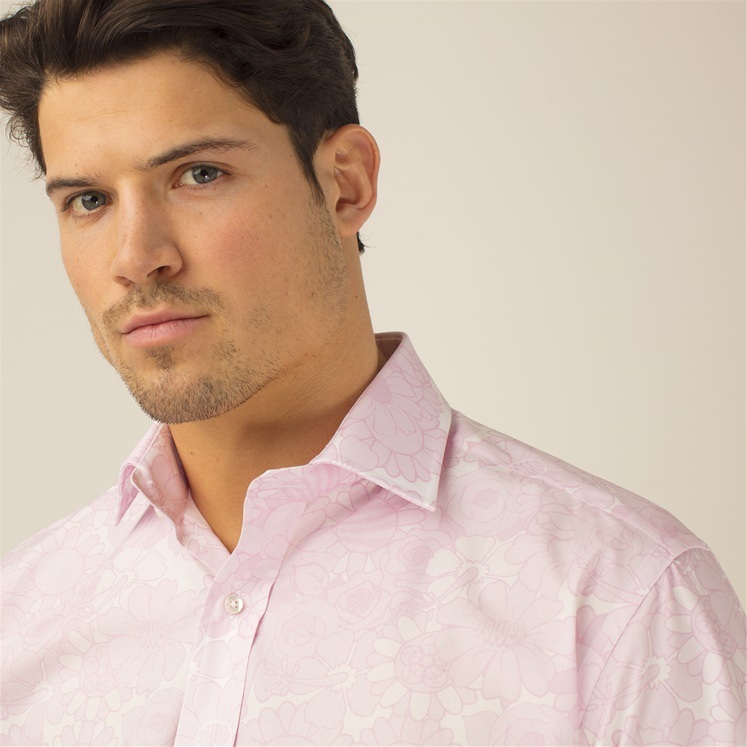 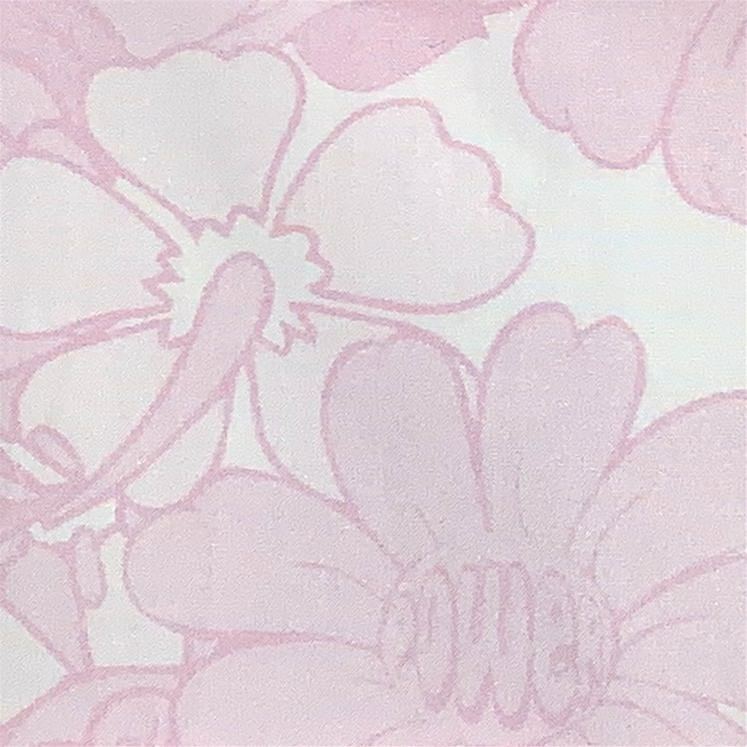 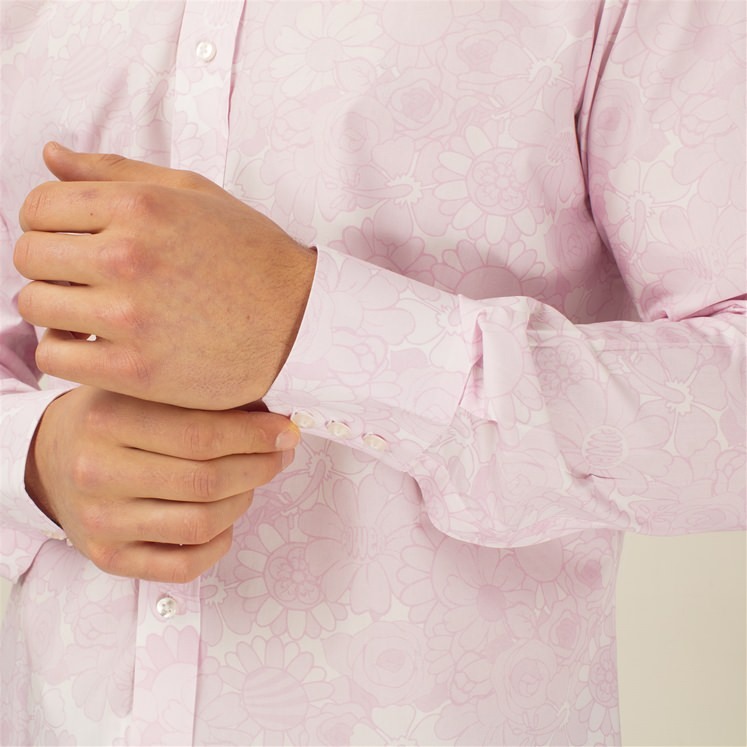 Ideal for weddings this soft pink and white patterned shirt has a bold, graphic 70's inspired floral design. 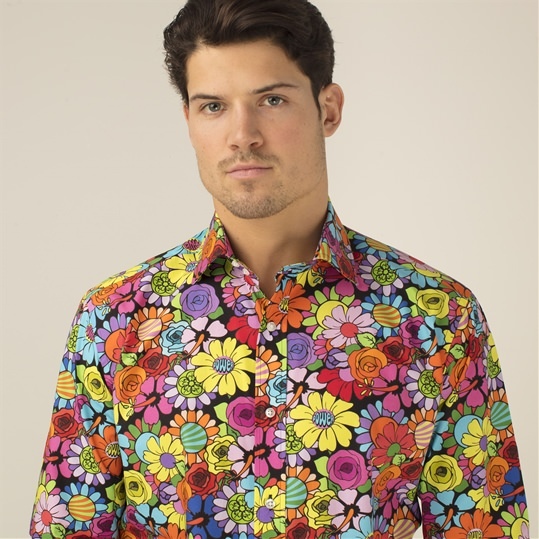 Part of the celebratory 20 year collection.